avoid going to schools in non cholera areas. Most of the cholera epicentre compounds like Kanyama, Chibolya, Chawama and John Laing have no secondary schools and the implication is that the learners from affected areas will miss classes as they depend on schools in other areas that have opened. 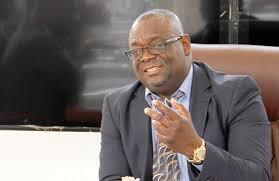 But when challenged that schools should not have reopened if that was the case, Ministry of General Education Permanent Secretary Henry Tukombe claimed that it was not possible to further delay the re-opening of schools. The cholera epicentre areas supply a big number of learners to Kabulonga Boys in Kabulonga and Libala High School.